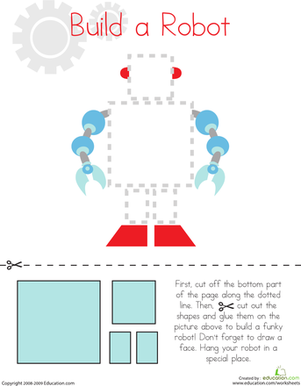 First, kids cut out squares and rectangles and glue them to the robot picture. 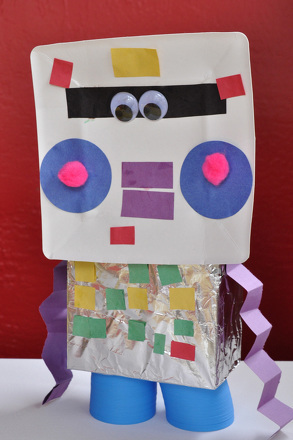 Then, they make a face for their robot. 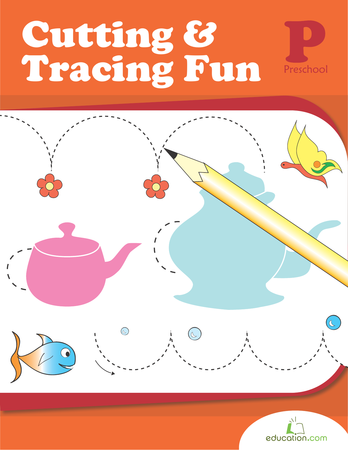 This worksheet helps kids practise recognizing geometric shapes and exercising fine motor skills such as cutting with scissors and gluing. 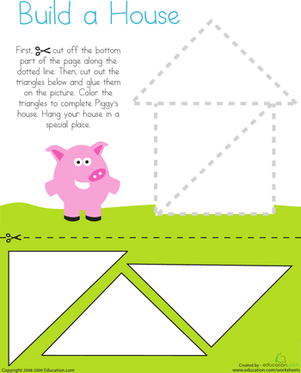 Get ready for rectangles! 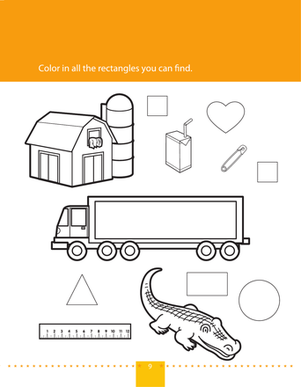 On this prekindergarten maths and coloring worksheet, kids find and colour all the rectangles! 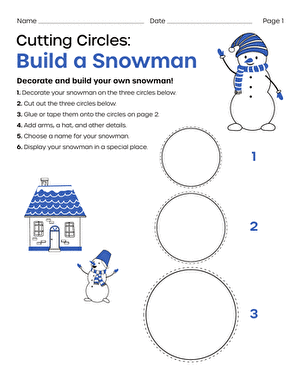 Give your preschooler some practise with this fun cutting practise worksheet of an airplane soaring through the sky. Can a robot get a tan? 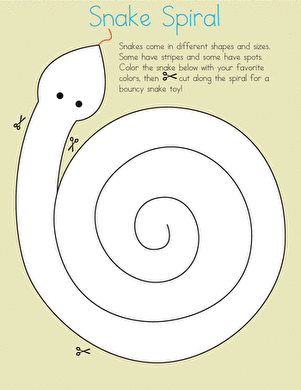 It's up to you and your child, colour him however you like!